Biopharmaceuticals have revolutionised the treatment of chronic diseases and its industry is under considerable pressure to produce “first-in-class medicines” in a cost effective and safe manner. The primary objective of the STACCATO research programme is to utilise high-resolution analysis of DNA, RNA and proteins from single cells to enhance the efficiency of manufacturing processes and ensure patient safety for a range of biopharmaceuticals. The STACCATO EID partners have the scientific excellence, industrial expertise and infrastructure to provide a biopharmaceutical manufacturing training programme to enable the development of a new tool to enhance upstream process development approaches for biological medicines. 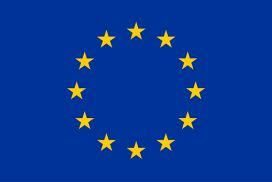 The scientific programme presents a unique opportunity for the ESRs to engage in a truly ground-breaking research action aiming to develop single cell analysis methods for biopharmaceutical manufacturing, improve the performance of cells as biopharmaceutical factories and enhance manufacturing processes for cellular therapies. 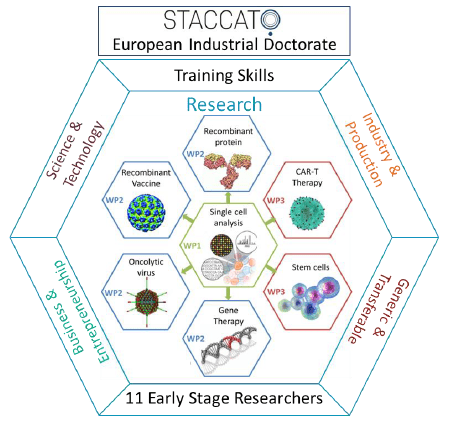 The main objectives of the STACCATO intersectoral training programme are to provide the ESRs with unique multidisciplinary scientific training by teaching them essential theory as well as developing the practical skills required to prosper in a biopharmaceutical manufacturing research environment based in either industry or academia.